You are here: Blue Haven > Blog > Uncategorized > Tips for transforming your pool area. But for those who are lucky enough to already have a swimming pool but are starting to find it’s appearance somewhat out-dated or worse-for-wear, there is no need to fret! There are numerous ways you can transform your swimming pool area from drab to fab! Completely transform the appearance of your pool area. A pool with no accessories appear bland and boring, but add a water feature, some pot plants or some artwork and you have created a visual masterpiece! 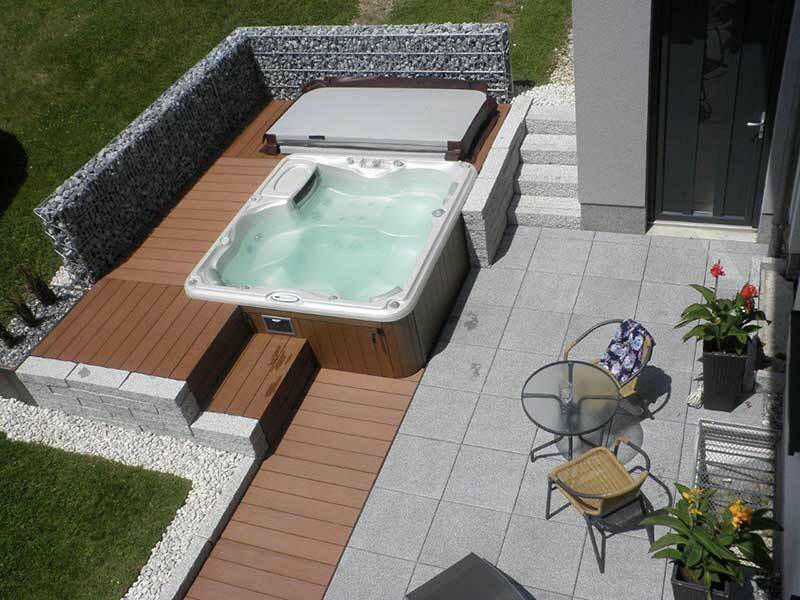 A pool is the centrepiece of your backyard, so why not make it visually appealing by simply adding a few accessories. As well as being a place to swim, many people also enjoy having drinks with friends or family dinners by the pool. Seating is thus a crucial element of any pool and can also aid in creating a certain look for your pool and outdoor setting. You can choose from a range of weather-resistant furniture such as outdoor armchairs, lounges, stools, tables, chairs and dining settings. Stylish seats and dining settings are widely available, and can help transform your pool into a visual treat and assist in creating an admirable dining experience to impress your friends! So you’ve got the dining setting and the accessories to impress your friends while hosting a gorgeous poolside summer dinner, but there’s only one problem: you can’t see anything. Thus, lighting becomes the next element on this list of tips. Add ambiance to your pool with lanterns, candles, fairy lights, or choose a permanent lighting fixture to secure a look for your pool all year round. Illuminate your pool’s best features and transform your pool into an image to feast your eyes on! Other factors to consider when revamping your pool area are whether you have adequate shade and climate control (if you intend on using your pool all-year-round). Options such as outdoor fireplaces, fire fits, portable heaters and solar heating mean that you don’t have to abandon your pool in the cooler months. Furthermore, outdoor fans and shade mean that you can enjoy your pool area in the midst of summer. For more pool ideas or to request a quote, head online to http://bluehaven.com.au/ or call the experienced swimming pool builders at Blue Haven on 13 20 25, and create your pool-paradise today!